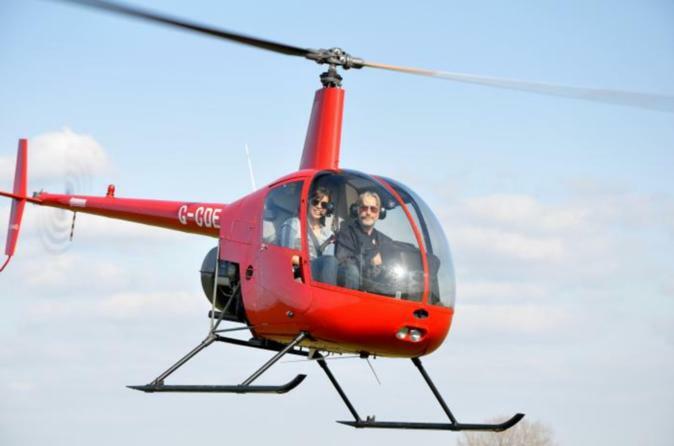 Complete Experience of Helicopter Pilot : be the Pilot in Command for one day ! Live a complete immersion in pilot's job from A to Z ! Flight preparation, helicopter inspection, piloting, you will go through all the steps of a flight. Arriving at Hélicraft, we'll start with a 30-min theory class : different types of helicopters, operation of controls, safety briefing, we'll pass by every generalities. Then, you'll do a quick flight brief : the instructor will describe the flight and what he is expecting from you. You'll check the weather forecasts, helicopter papers, a quick walk-around the helicopter to inspect mechanic parts (mandatory before each flight), and finally, you'll board in the helicopter for a 30 min flight. The instructor will take in charge take-off and landing, but since it's done, you will fly the helicopter ! You'll learn how to turn, manage altitude, speed, and will discover how to hover.